ASC Diaraf, based in the Senegalese capital of Dakar, is arguably the biggest club in Senegal, having won the national championship 11 times. ASC Diaraf became number two in the Ligue 1 2010-2011, eight points behind the surprise winners of US Ouakam. 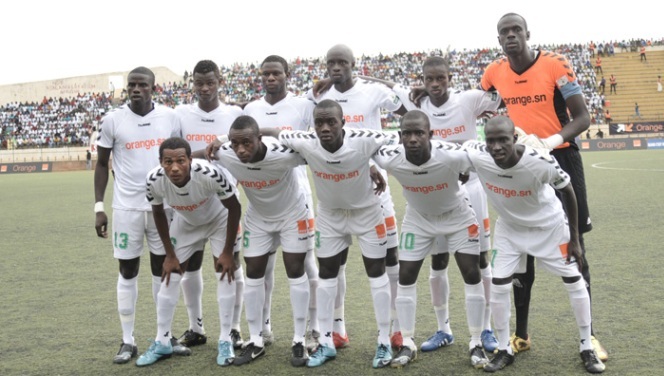 It’s my honest opinion that ASC Diaraf has the best team in Senegal – on paper. Therefore, I assume the silver medals should be described as a disappointment. Based on the player statistics, I have a theory that ASC Diaraf should perhaps try to cement a first eleven in order to become more consistent. The club used a lot of different players and the rotation system did not seem to be a success. Also, a lot of important players failed to live up to expectations, while others struggled with injuries. It was also a major loss to the club when top striker Abdou Khadre Dieylani Fall joined AJ Auxerre in France in January 2011. The most important players at the club are arguably veteran striker Pape Ciré Dia who became top scorer in the Ligue 1 2010-2011 with 10 league goals in 21-24 matches. The midfield duo of Dominique Gomis and Djibril Sidibé is very important and both players deserve a change in a bigger league. The talented Mor Soumaré and Abdou Chafi Sow formed an impressive duo in central defence, while youngsters Pape Macou Sarr (attacking midfielder) and Babacar Seck (left-back) had wonderful seasons. Please note that I currently have not found the scorer in the Round 28 match between CSS Richard-Toll and ASC Diaraf (0-1) on 28.08.2011. However, I know that top scorer Pape Ciré Dia did not score this goal, making 10 league goals the official number of goals for the powerful striker. The picture of ASC Diaraf is taken from http://www.footafrica365.fr.